Hanging Reverse Crunches is an excellent exercise to build lower abdominals. 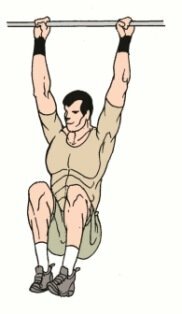 Check this Reverse Crunch variation and blast your abdominal muscles now. Purpose - To Build Lower Abdominal Muscles. 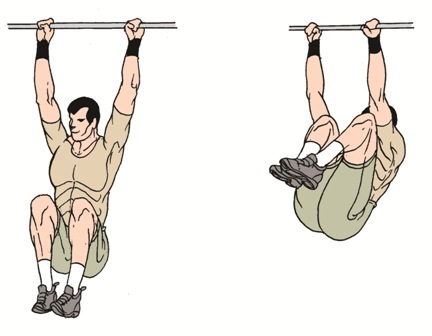 This exercise is done hanging from a chin up bar. Its done just like reverse crunches but here you do it hanging from a bar. Get in a hanging position from a chin up bar and let your legs hang freely. Crunch and raise your knees as high as possible rolling your back and crunching as hard as possible. Lower your knees to starting position and repeat. Include this exercise in every alternate Ab workout and see how your lower abs respond! Truth About Abs is the only Abdominal Exercise Program I recommend. 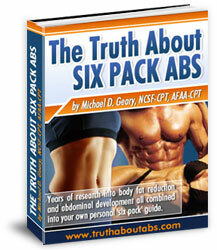 I have found this to be the best Abs Program out there and I have read plenty of them. Click here to read more about this Wonderful Truth About Abs Program.